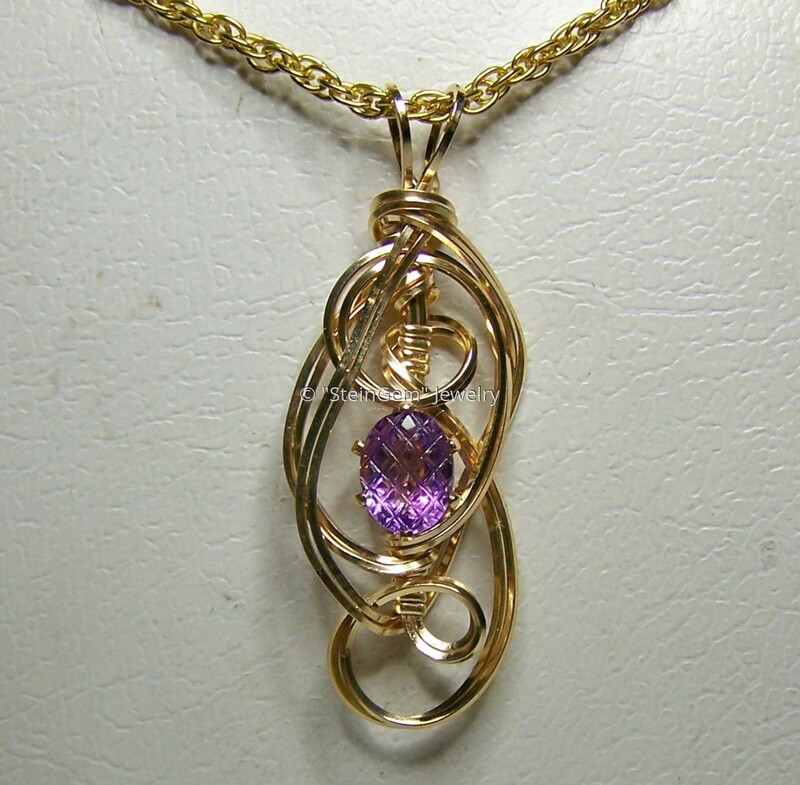 I designed this gorgeous Gold Filled wire pendant around a beautiful pineapple cut Amethyst stone. This unique pendant is a one of a kind design. There are no others available! Pendant measures approx. 1 7/8 inches long. Stun your friends when you wear this gorgeous pendant! If you have an item you would like to have created into a ring,bracelet or necklace, just convo me and we will talk! I have several customers that send me items to be incorporated into beautiful jewelry! What can I make for you!